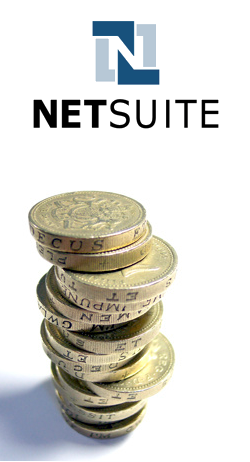 NetSuite's financial management software solution is used by thousands of organisations to manage their accounting needs. It accelerates financial close, provides strong expense management, offers streamlined and auditable revenue management and ensures complete real-time visibility into every aspect of your business's financial performance. Because NetSuite's financial management software is entirely cloud-based, your business can reduce IT costs and complexity, gain anytime, anywhere access to critical information and generate savings that on-premise software solutions simply can't match. NetSuite Financials seamlessly integrates with all NetSuite order management, inventory, CRM and eCommerce functions to streamline critical business processes, e.g. quote-to-cash. Your entire operation works from a single source of finance, sales and customer data. Vastly improved business performance with real-time metrics and role-based dashboards. Shortened Days Sales Outstanding (DSO) with automated billing and collections management. Accelerated financial close and improved revenue recognition processes. Guaranteed accountability and compliance with comprehensive, auditable accounting. Streamlined order-to-cash and procure-to-pay business processes. Error elimination and streamlined processes with seamless integration between financials, CRM and eCommerce. Customisable and extendable software to meet your precise needs. Gain full financial visibility into your payables and receivables, with real-time access to outstanding invoices and bills. Reduce paperwork and improve efficiency by generating invoices from sales orders with just one click. Streamline financial planning and accounting processes using amortisation schedules, such as amortising pre-paid expenses. Ensure strong financial compliance by continuously maintaining a complete audit trail on all entries and changes. Simplify the period-end close process by using automated allocations and currency management tools. Reduce the burden of reconciliation by using a financial system that does not require sub-ledgers and is always up to date. * In accordance with GAAP, AICPA, FASB & SEC regulations (inc. SOP 81-1, SAB 101, EITF 00-21, EITF 08-01, EITF 09-03, SOP 97-2 & SOP 98-9). Easily track and manage depreciating and non-depreciating company assets. Support all standard depreciation methods and unlimited custom depreciation methods. Post depreciation and asset retirements directly to NetSuite accounts. Access comprehensive reporting across assets, valuation and depreciation. Monitor and manage the financial performance of your business using real-time dashboards with key revenue, expense, receivables metrics and more. Optimize cash management, reporting, analysis and allocation in real time, at corporate and subsidiary levels. Leverage more than 100 standard reports, including income statements, balance sheets, consolidated reports, variance reports and side-by-side comparisons, or easily create and define financial reports according to the needs of your business. Make it easier for customers to do business with you by accepting a wide variety of payment options. Get more efficient payment acceptance with streamlined and integrated order-to-payment and payment-to-reconciliation processes. Get safe and secure processing with full PCI compliance and sophisticated credit card fraud prevention tools. Drive revenue and cash collection with a streamlined billing and automated order-to-cash process. Transform inefficient manual and paper-based processes into streamlined workflows with end-to-end support for procure-to-pay process. Reduce errors / improve productivity by ensuring all users in all departments are working with the same customer, sales and financial data. For more information, click here: NetSuite Overview.